Looking for a gift for a teacher, counsellor, corporate manager, mentor or community leader? 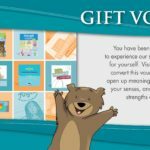 An Innovative Resources gift voucher is the perfect way to let a colleague, friend or family member choose a memorable present—for personal or professional use. Our gift vouchers are ideal for people who work with people. They are also a hit with mums and dads! 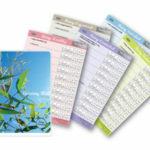 Innovative Resources’ popular gift vouchers are available in $25, $50, $75 and $100 amounts. However, we can also provide gift vouchers in other amounts. Please phone or email us with your request. Redeemable in person, online and by phone. The voucher can be redeemed for online purchases by entering the code provided during checkout.